Interest in charter schools for students with disabilities is on the rise. Will such schools destroy the Individuals with Disabilities Act’s (IDEA) rights of children? IDEA is the reauthorization of the 1975 Public Law 94-142. While parents might be dissatisfied with dyslexia programming in public schools, how can they be assured charter schools will provide better assistance including inclusion in charter schools? A school for students with dyslexia continues to stay open despite two F grades from the BESE, Louisiana’s Board of Elementary and Secondary Education. The Louisiana Key Academy is run by Senator Bill Cassidy (R-LA) and his wife, Laura. Both are physicians. Neither are specialists in reading disorders, although they have a child with dyslexia. Sen. Cassidy supported the appointment of Betsy DeVos for education secretary, and discussed dyslexia at her confirmation hearing. He received $70,000 in campaign contributions from the DeVos family. DeVos is hell-bent on destroying democratic public schools. She favors charters, technology instead of teachers, and vouchers. Parents of students with dyslexia and learning disabilities are concerned that public schools don’t provide students with appropriate reading instruction. Only some states address dyslexia under the Individuals with Disabilities Education Act (IDEA). Sen. Bill Cassidy (R-LA) has become a spokesperson of sorts for students with dyslexia. Some of this stems from a congressional confrontation he had with former education secretary Arne Duncan. Cassidy also sponsored two failed amendments about dyslexia. One amendment would have given schools funds to train teachers to identify dyslexia and learning disabilities. The other addressed resources. The Louisiana Key Academy masks itself as a public school with state funding through the Minimum Foundation Program. The school serves 320 students with dyslexia. 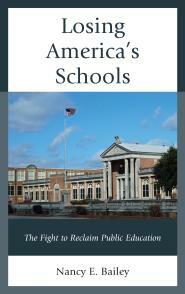 Like most charter schools, it is called a public school. This is deceptive since the school is run by a non-governmental board. The Cassidy school earned F ratings in 2016. Not only was the school given a reprieve of three years to improve, it was permitted to add a sixth grade. After more time passed, it was given another F rating and has been given another three years to improve. The concern is that failed charter schools for students with disabilities will stay open by continuing to reinvent themselves without transparency and real regulations. In 2016, The Advocate reported on proposed changes to the school which seem to lower the requirements surrounding student evaluation. The school was to craft a rubric to measure student progress. Should that not have been in place before the school opened in 2012? State Superintendent of Education John White stated, In this case Louisiana Key Academy has not met the conditions for extension. Still, White recommended that the school get a probationary extension, subject to changes in school operations. The new rules were to revamp the way the school is measured by the state Board of Elementary and Secondary Education, and require most students to take annual state exams during the 2017-18 school year. White is from Teach for America and the Broad Academy (2010) which support charter schools and school privatization. Excuses to keep the charter open were many. They claimed it’s difficult to remediate a student’s reading problems. Public schools also have problems assisting students with dyslexia. Parents also seem to favor the school. Dr. Laura Cassidy, a physician, in this 2017 radio spot, stated that students will still take the standardized test, but they will get to be evaluated on other tests as well. The National Center for Learning Disabilities (p.13) encourages most students, with the exception of children with severe cognitive disabilities, to take the general state standardized tests. While the issue of test accommodation is certainly debatable, should traditional public schools have one standard and charter schools be allowed another? Parents might be mislead into thinking that their child is making better progress than is actually the case. How is the Louisiana Key Academy doing today? There’s little information. According to Glassdoor and one disgruntled employee, the reading program is good, but there is mass turnover of staff. Math, science, and technology are lacking, along with enrichment programs. Administrators had little regard for the laws governing special education eligibility and service delivery. 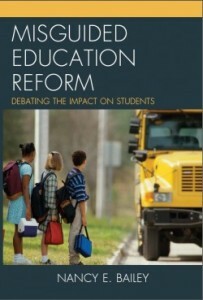 There was pressure to force evaluation outcomes to meet school needs. Ethics were at a minimum and there was reluctance to consider the needs of the whole child and all areas where services would be considered benefical (sic) to the child being evaluated. In 2018, as the school was once again being renewed, The Advocate reported Gary Jones, a BESE member and a former superintendent said, I think it is terrible three years after a school has been in place and then we realize we did not set up the groundwork right. The school is promoted on their Facebook page but it is objectively difficult to know how the school is actually doing. For students with dyslexia and learning disabilities, charter schools are often segregated from classes where students have access to making friends and learning with those without disabilities. The difficulties students with dyslexia and other learning disabilities are experiencing in traditional public schools, should be addressed, since most students in this country attend those schools. The focus must be on those schools. Waiting three or six years with a charter school that displays little proof of success, splits resources, and still could deny students attention to their serious reading needs. Will Sentell. Charter school for dyslexic students, graded ‘F’ by state, could continue on probationary status. The Advocate. December 6, 2016. Will Sentell. School for students with dyslexia wins renewal despite failing marks. The Advocate. January 23, 2018.